You have a competent team answering calls. By “competent,” I mean they close phone leads at a relatively high rate. You have trouble connecting with qualified customers by email or phone when they fill out a form on your site. The profit from a sale is significantly higher than the cost of answering the phone. If this sounds like your business, then you should listen to our interview with Tim Paige of Lead Pages. You get two scientists for the price of one. 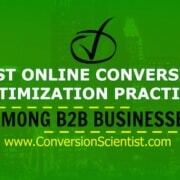 Brian Massey and Joel Harvey – The Conversion Scientists – talk about the tactics that they used on a website to make the phone ring without compromising form fills. 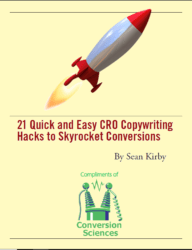 This originally appeared on the LeadPages ConversionCast. What is Your Basic Unit of Upside?